It can be difficult to plan a party in the big apple; where do you even begin? There are so many locations to choose from, and so many ways to go about planning an event! What better way to do it than with a fantastic event planner? 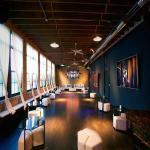 Here at Eventup, we have come up with the top 5 event planners/companies in NYC that can help you plan your next party. Check out their individual websites and blogs, and try to decide which of these amazing event companies can help you out. Save the Date. Jennifer Gilbert's Save the Date event planning company has a motto: "Consider your event planned." They plan all types of events, and never fail to impress their clients and the guests of the party. Be sure to check this event planning company out if you're looking to plan a night to remember! EMRG Media NYC. This this event planning company works for most of the popular NYC party venues! They ensure that your event will get "rave reviews," so call them and start planning. Preston Bailey. Many celebrities love Preston's expertise and style of event planning, including Oprah and Donald Trump. He's famous for going over the top and creating a dramatic atmosphere for a night that all of your guests will remember. With over 30 years in the event planning industry, he'll help you out and you will be pleased with the outcome of your event. David Tutera.Tons of press and magazines from "In Touch" to "Vogue" rave about David Tutera's event planning work. We trust them, and you should too! Let him help you out for your next event. He has his own show on WE TV, "My Fair Wedding With David Tutera!" Check it out, and check him out! "My signature style has always been the unexpected," he once said. Expect the unexpected! Fête. Jung Lee's famous and extravagant event planning company, Fête, can handle everything about an event, and they take it in their own hands to oversee every little detail for you. They're elegant, classy and they've got it under control. "At the end of the day, ordinary celebrations become truly extraordinary," they say. Let them make your event extraordinary. Planning an event in the big apple? Check out the fabulous NYC Event Space available first then contact one of these awesome event planners/companies. Take some stress off of yourself, they know what they're doing. Do you know of any great event planning companies? Let us know in a comment below, or drop us a note on Facebook or Twitter! 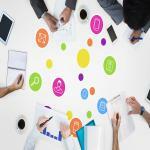 Face-to-Face vs. Digital Meetings: Which are Better for Your Business?